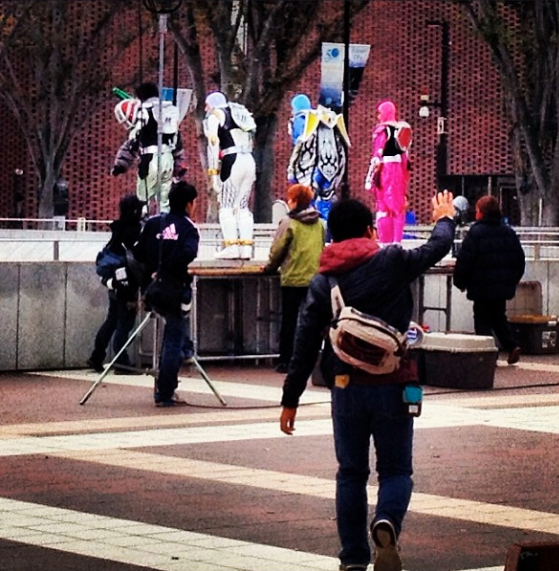 In the latest photo leaked online showcased the suit actors in donning the Energy Rider costumes said to reveal between December to January episodes. The photo shows 4 Energy Riders that seems to be using Cherry, Melon, Lemon and Peach Energy Lock Seeds. Latest news mentions that Armored Rider Zangetsu will be upgrading his form into Zangetsu-Shin and will be using Melon Energy Lock Seed. Keep it here for more updates on Kamen Rider Gaim.